Viola Beauty: NEW! 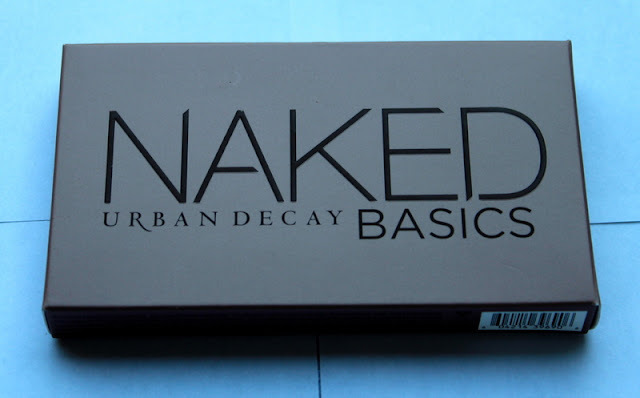 Urban Decay Naked Basics Palette: Review, Swatches & Comparisons! NEW! Urban Decay Naked Basics Palette: Review, Swatches & Comparisons! Today's post features the newest addition to the Naked eyeshadow line by Urban Decay. This small but powerful palette of six mostly matte neutral shades was made to "supplement" the first two Naked palettes, which feature mostly shimmery shades. First off, I wanted to mention how compact this little palette is; it fits right in the palm of my hand! Although small, this palette contains 6 full-sized eyeshadows. The casing is a hard rubberized snap closure with a large mirror, making this absolutely perfect for traveling. Although advertised as a matte palette, only five of the six shades are actually matte. Venus, the lightest shade is actually a satin finish and has a pearly appearance on the skin. Since so many of us beauty addicts wished the Naked and Naked 2 palettes had more matte shades to work with, the Naked Basics palette was Urban Decay's answer. I really appreciate the range of shades in this palette. There's a shimmery highlight, two light matte highlight options, a light, cool brown, a medium brown, and a black. Even though some of these shades are dupable, I enjoy the convenience of having a bunch of matte shades in a handy palette, especially since I prefer mattes for my highlight and for sculpting my crease and defining the outer v whenever I do eye makeup. I feel like this palette can supplement any shimmery eye look. The formulation of these shadows (as evidenced by the swatches above) is very smooth and creamy. They blend very well for being mattes, and I didn't feel they were too powdery or chalky, which can happen easily with matte formulas. I also wanted to compare these shades with the existing shades in the Naked and Naked 2 palettes. First up, is the light shimmery shade, Venus. The main difference between Venus (Basics) and Virgin and Bootycall from Naked and Naked 2 is the undertone. All three work as shimmery highlights, but of the three, I found Venus to be the most shimmery or the one having the most iridescence. Virgin has more of a pink undertone and Bootycall has a slight yellow undertone. I found Venus to be neutral in undertone and the closest to an icy white of the three. Venus was also more pigmented than the other two. The second shade in the Basics palette, Foxy, is the exact same Foxy shade found in the Naked 2 palette. It is the only repeated shade. W.O.S. (Walk of Shame) has no real dupes in the Naked or Naked 2 palettes, but because of its pinky undertone, I would say it is the matte version of Virgin from the Naked palette. Moving on the the mid-tone brown shades, there are a few similar shades between all three palettes. Naked and Naked 2 have a similar depth but a completely different undertone. Naked is more of a true light brown, whereas Naked 2 (Basics) is a dusty mauve brown. Faint (Basics) is best compared to Buck (Naked). Although very similar, Faint is touch darker and cooler than Buck, but they are nearly identical. Lastly, Tease (Naked 2), is the coolest of the five mid-tone shades and is more of a mauve than a brown. I would say Naked 2 is a lighter version of Tease. The last shade in the Basics palette, Crave, can be best compared to Blackout from the Naked 2. Both are deep, dark matte blacks, but if I had to find a difference, it would again be in tone. Blackout is a true deep black, whereas Crave has a slight and hardly noticeable brown undertone, so it is a tad warmer. On the skin, the difference would be indistinguishable. The Naked Basics palette retails for $27, and all the shadows are full size (1.3g / 0.05oz). Considering Urban Decay shadows cost $18 individually, the palette contains $108 worth of product. I think the price point and quality are really there, but the shades aren't entirely unique especially if you already have the first 2 Naked installments. What I really love about this palette, however, is the convenience of its size and the fact that you have so many matte shades all in one handy place. Here are some comparisons of the three palettes themselves. The Basics palette is such a baby compared to the other two, isn't it? I haven't done reviews or swatches of the Naked or Naked 2 palettes because I figured there are already so many reviews out there, but I could gladly do posts if anyone would like. I hope you enjoyed this review! Sephora Haul: Benefit Upgrade to Gorgeous Set!